In a recent blog post, Coinbase announced it would be adjusting fees across its Coinbase Pro platform. These new fees will mostly affect Coinbase’s lower-tier customers, giving them more reasons to move to other exchanges. According to the announcement post, the new fee schedule will come into effect on Friday, March 22 at 6:00 pm PDT. Besides maker-and-taker fee increases, Coinbase will also be adjusting how market orders operate on the platform. This move will effectively lower Coinbase’s advantage over its growing competitors, and gives unsatisfied users even more reasons to take their business elsewhere. The biggest changes that Coinbase will be making to its fee schedule come in the form of maker-and-taker fee hikes across the board. Maker fees are applied when a user adds liquidity to the order book, and conversely, taker fees are applied when liquidity is removed. The large majority of Coinbase customers fall within the first tier of investing; currently, anyone who trades less than $100,000 in a 30-day span. Before the changes go into effect, maker fees throughout every tier have been zero percent, while taker fees range from 0.3 percent at the lowest tier, down to 0.1 percent at the $100 million to $300 million tier and above. Effectively, the highest combined maker-and-taker fees charged on the platform add up to 0.3 percent for users in the bottom tier. Under the new fee schedule, users at this tier will now have to pay a 0.15 percent maker fee and a 0.25 percent taker fee, for a total of 0.4 percent—0.1 percent higher than before. 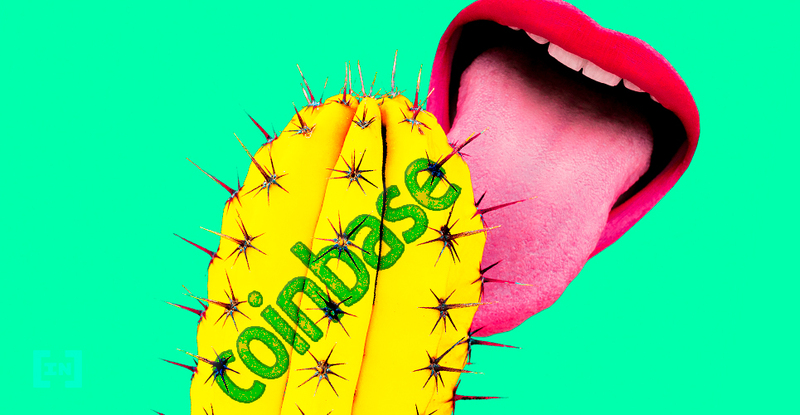 This recent fee hike has caused a bit of an uproar among Coinbase users, as most of them fall into the bottom tier of investing. It makes little sense to raise the fees on lower liquidity users, while at the same time giving a discount to the whales. This also comes at a time when the cryptocurrency market is seeing much more stability and steady growth when compared to the devastating bear market during the previous year. New cryptocurrency investors and users are beginning to enter the space and this fee increase makes Coinbase look like it is trying to take advantage of these novice users who have little-to-no understanding of how the fees actually work. Comparing Coinbase’s new fee schedule to that of its primary competitor, Binance, clearly gives Binance the competitive edge. In Binance’s bottom tier fee schedule, users who trade less than 100 Bitcoin (BTC), or approximately $400,000 in 30 days are only charged maker-taker fees of 0.1 percent each way. These fees even drop further down to 0.075 percent when using Binance’s native Binance Coin (BNB). Considering that Binance has a larger offering of coins and tokens with more trading pairs than Coinbase, there are becoming fewer and fewer reasons for users to trade on Coinbase. Will these new fees actually push more users away to other competitive exchanges? Is Coinbase expecting a surge of new users as the market starts to bounce back? Let us know your thoughts in the comments below!